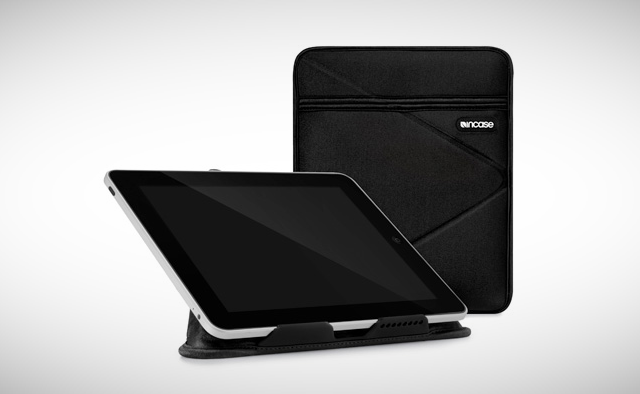 Incase has done it again with their new Origami iPad Sleeve. 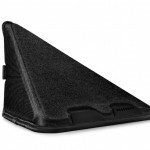 At first glance, the sleeve looks and acts as any other would, offering full protection for your gear. Where it becomes unique is in its origami-inspired design, which allows the sleeve to fold into a stand, holding your iPad at a comfortable angle for both typing and viewing. 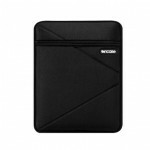 It holds the iPad in both horizontal and vertical positions for maximum flexibility. The neoprene sleeve sells for $34.95 and comes in black and pink, though we’ll ignore the latter. Pick it up online at Incase.